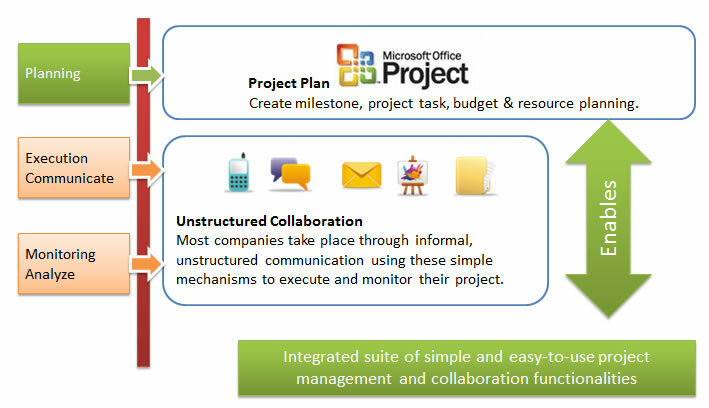 Project management are categorized in to 3 sections; planning, execution and communication, analyse and monitoring. Most companies focus and do very well on project planning. However, they often take place through informal, unstructured communication simple mechanisms to execute and monitor their project. 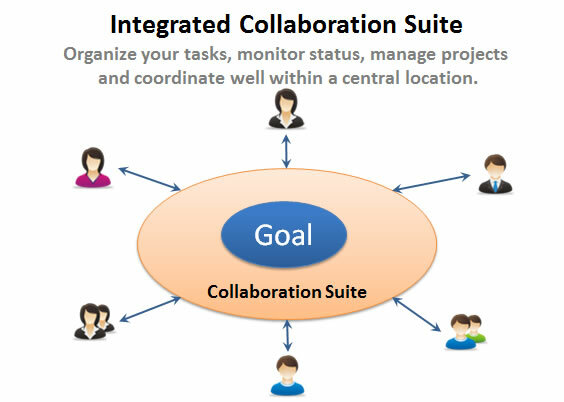 Why do you need an Integrated online Collaboration & Project Management tool? Sharing responsibility and combining knowledge, creativity, and experience of others. An Integrated Collaboration Suite that organize your tasks, monitor status, manage projects and coordinate well with your entire enterprise, colleagues and team members within a central location.